sapfir_30, это нужно смотреть в исходнике CWM recovery. Для распаковки и упаковки recovery, необходимо воспользоваться этой инструкцией Unpacking and repacking recovery or boot image. Распаковку и упаковку можно совершить только в ОС на базе UNIX. За основу можете взять recovery-blaze.7z. Кстати, чтобы CWM recovery загружалось, нужно распаковать заводское recovery и скопировать из него zImage в распакованное CWM recovery с последующей заменой zImage на заводское. Для сохранности инструкции скопировал ее в эту тему. Там многие ссылки битые - поправил их у себя. The CWM recovery image is in the changer_files directory in Uberizer's main program directory. 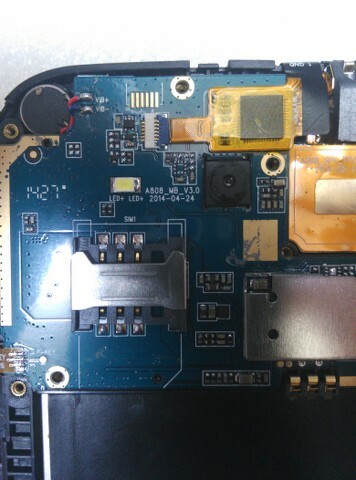 I wanted to see if it was possible to unpack it, have a look inside and/or change anything, then repack it and reflash it to the device. I got started on this because I was trying to figure out how to decipher the /dev/graphics/fb0 framebuffer when booted into CWM, and I wanted to replace CWM's stock background image by red, green, blue colours to help figure out how the framebuffer is represented. This procedure also applies to the boot image (located in /dev/block/nandc). There are various pages on the web on how to do this. However, some instructions didn't work for me (resulted in a non-bootable recovery image). I'll go through each step on this page and explain what did work. Uberizer version is v1.3 26th Dec 2012. The CWM version is 6.0.1.2. Important note: The image file produced by the unpacking + repacking process may be smaller than the original image. However, this should not be a problem, provided the contents are the same. For example, I unpacked and repacked the boot image - the original image was 33554432 bytes long and the re-packed image was only 10315776 bytes long. This is because there are actually only 10315776 bytes of relevant data present - the remaining bytes in the original image were just filled with 0xFF. So, if you do get a different file size, check the files in a hex editor - the data should still be the same. I don't know about the kernel so don't ask. Steps in detail below. All require a Linux box - I'm using Ubuntu 12.04. Here are several links which are referred to on this page. We start with the recovery image file (recovery.img) from Uberizer's changer_files directory. On the Linux machine, make a folder on the desktop (I called mine "recovery") and copy recovery.img into it. We can now use either split_bootimg.pl (in the tools folder) or unmkbootimg to split up the image into the kernel and ramdisk. Both produce exactly the same results (with different filenames), but unmkbootimg is slightly more useful because it works out the base address to use when reassembling the image, and shows exactly what command to use. We'll use it. Command line "console=ttyS0,115200 rw init=/init loglevel=8"
See how the file sizes match those specified in the output of unmkbootimg. The ramdisk format is a bit odd. The files have first been concatenated into an archive using cpio (this means the files are all strung together into one single big file, but not compressed), then compressed using gzip. So, to undo all this, we need to first gunzip the ramdisk and then use cpio to extract the files from the archive. This is mentioned, for example, here. This is where all the interesting stuff is. I was originally interested in replacing the background image with one of my own. The images used in CWM are located in res/images - see below. If you're still awake, we now need to recombine the kernel and ramdisk back into a bootable image (exactly the reverse of splitting them up in step 1). To do this, we use the mkbootimg tool in the tools directory. Remember the output from unmkbootimg in step 1? It specified the format of the mkbootimg command to use. First cd back up to the recovery directory, then execute the command as below. The output from this is a file new_recovery.img which is the new bootable recovery image (you hope!). 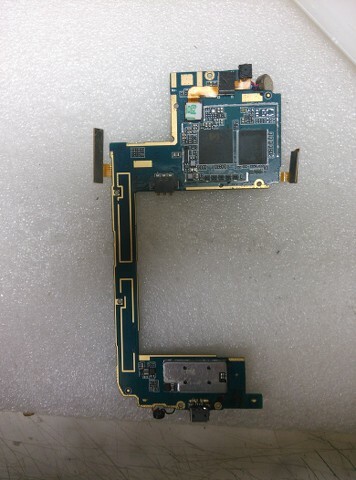 adb shell "cat /sdcard/new_recovery.img > /dev/block/nandg"
This first pushes new_recovery.img to the internal sdcard of the tablet (/sdcard/), then uses cat to write the entire contents of the image file to /dev/block/nandg, which is the recovery partition on the tablet. Пробавал все прошивки , все прошивается но нет екран толька подсветка. 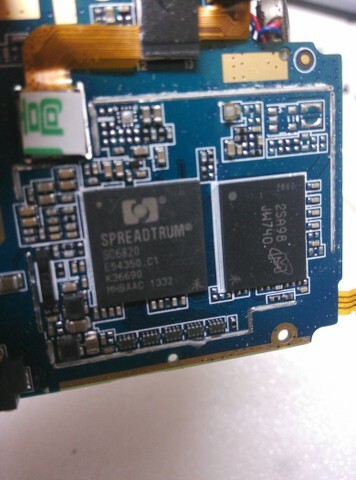 Вы пробовали прошивки Spreadtrum SC6820 - см. здесь и GT-I9082_c920_SHENGDA_s803_3d_v03 - см. здесь? 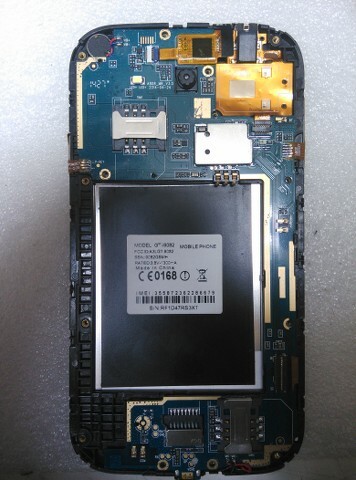 Здраствуйте, с ета прошивка тел загорел но екран наоборот (gt-a9500.7z). А ета (GT-I9082_c920_SHENGDA_s803_3d_v03.7z) внутри файл не .рас а .cmz с чево прошит его ? Пажалуйста помогите найти прошивка для етот тело. Я пробавал все прошивки из ваши линки. 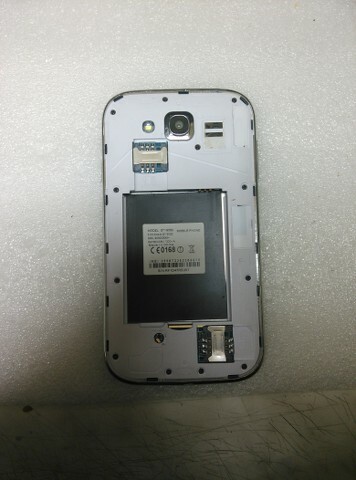 Заработала толька ета: gt-a9500.7z но проблем с екран.Остала пробават толька ета: GT-I9082_c920_SHENGDA_s803_3d_v03.7z . У меня Vollcano box но етот .cmz файл не подходид для нево, можна конвертируется в .bin файл. aldin, возможно (сам не проверял), можно через программу AvatorBox скачать можно здесь сконвертировать .cmz файл в .bin файл. Смысла этим заниматься не вижу. На руках клон i9082 на МТК 6572, в теле вирус после сброса всегда создается ссылка на hotline video. Есть fw под флештул, считанное через СМ, заливается обратно без проблем через флештул. По инструкции сделал копию папки system на ПК и тут же каспер начал в папке app находить вирусованные файлы. Рутанул тело и через рут эксплорер удалил эти файлы из папки system\app. Сделал заводской сброс, ссылки пропали, вроде всё работает, слил бакап через СМ, если кому надо могу выложить. Тело еще выдает ошибку "NVRAM WARNING: Err = " в меню включения WiFi, СМ восстановление NVRAM в nand модели не поддерживает. Есть варианты как эту ошибку вылечить?